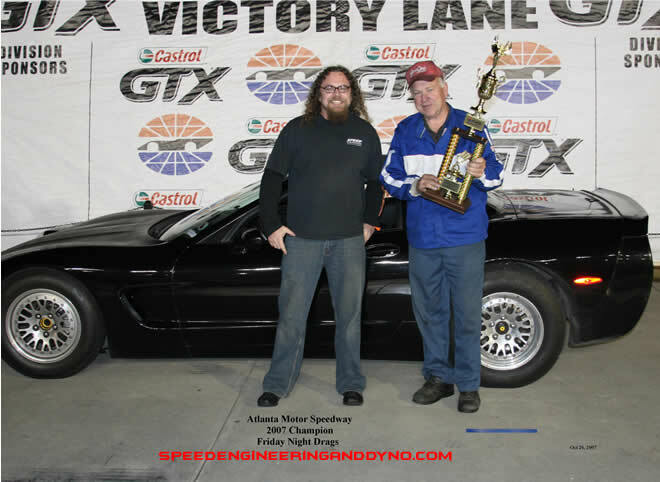 After leading the points the majority of the season, the Speed Engineering tuned Corvette won the final race of the year and clinched the '07 Championship in the Domestic Street class. The Friday Night Drags take place on 1/8 mile of the pit road used for the NASCAR race. The cars are lined up at the entrance to pit road, the starter drops his arms, and the first one to the finish line wins this heads up street style drag racing event.